For black Americans, dressing well was not merely a matter of fashion — it was necessary for survival. In the era of sundown towns and the Green Book, when black families took the highways of America they dressed to the nines to show white America that they were people of substance, respectable and decent and not going to start any trouble. As they did with many of the rules enforced upon them, these early Americans took what little was allowed to them and made it their own source of pride. Hats were cocked at rakish angles, colors were vibrant and cuts were cleaner and sharper than what white America wore. In time, black styles were appropriated by the mainstream. Again and again the cycle has repeated itself, moving from black subcultures to the malls and schoolyards of middle America. The art show Fashioning the Black Body explores the ways in which fashion defines and projects the black identity in a variety of media. Mickalene Thomas' silkscreen I've Been Good to Me shows a black woman adorned and surrounded by color and pattern in her home. Mario Moore's oil painting One Day in the Land of Milk and Honey depicts a black figure laying flat on the ground, beneath it a subway platform upon which mills a group of faceless people in identical hoodies. 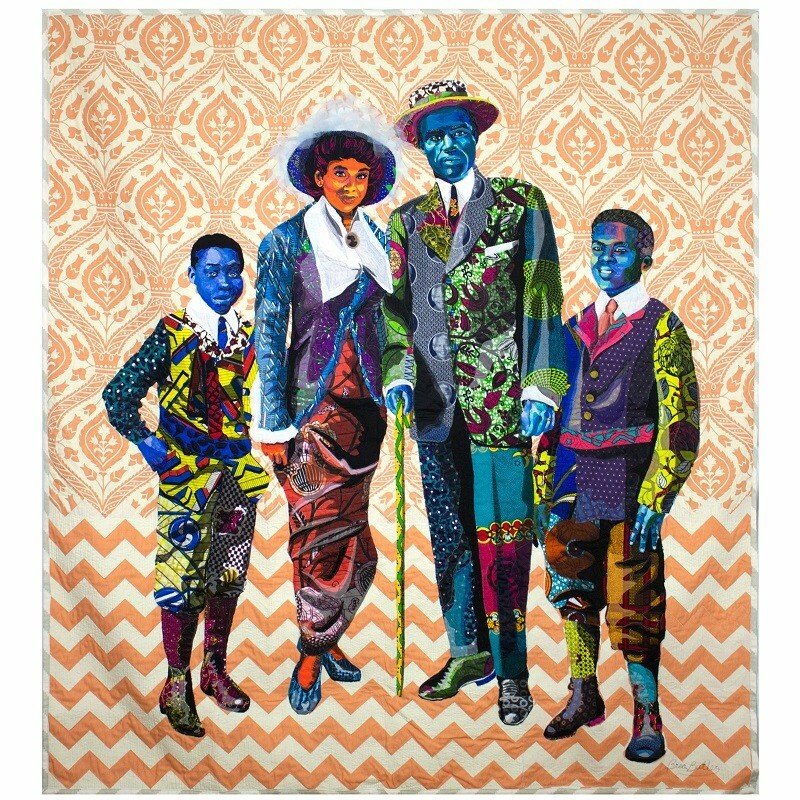 Fashioning the Black Body opens with a free reception from 5 to 8 p.m. Friday, March 15, at Projects+Gallery (4733 McPherson Avenue; www.projects-gallery.com). The show continues through May 4.